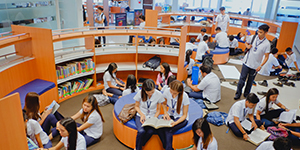 The University Libraries support the teaching and research programs of the University by providing students and faculty members the materials they need for academic work. Recreational reading materials are also available for the interest of the University community. The University Libraries is one of the largest libraries in the country. It has wireless internet access, internet laboratory, and 14 libraries and sections included in its system.